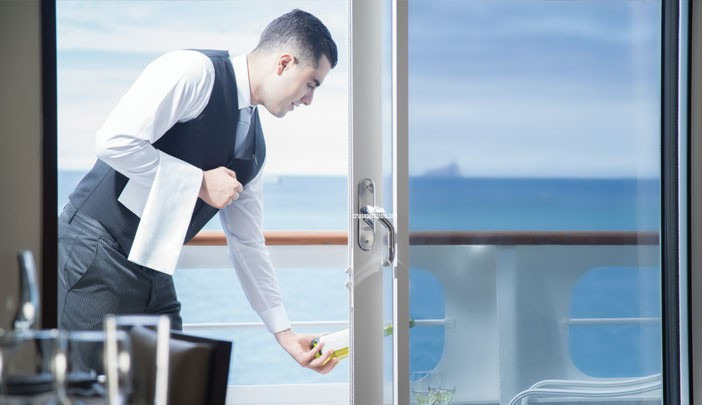 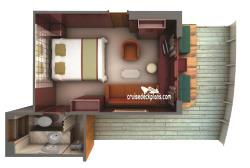 Amenities include binoculars, beach towels, and rain coats. 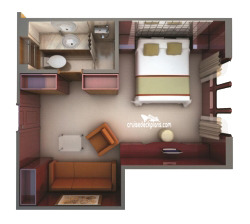 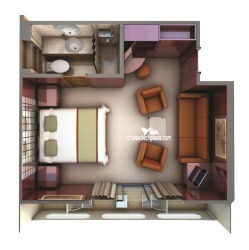 - Suites 248,249,250,251 have walk-in closets instead of wardrobe. 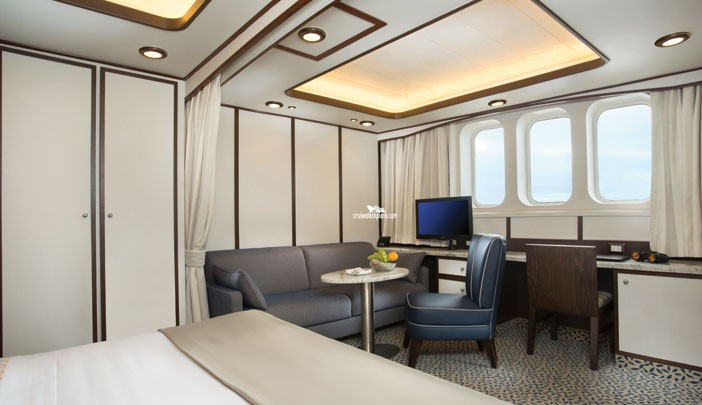 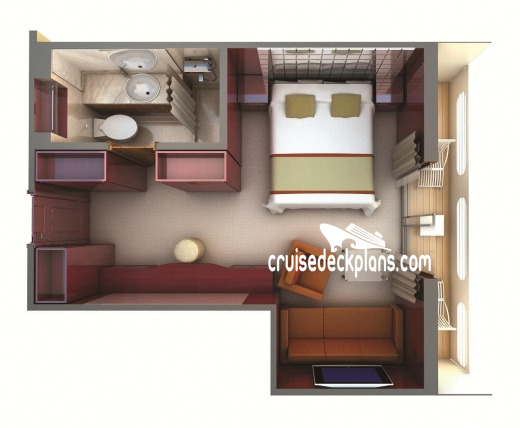 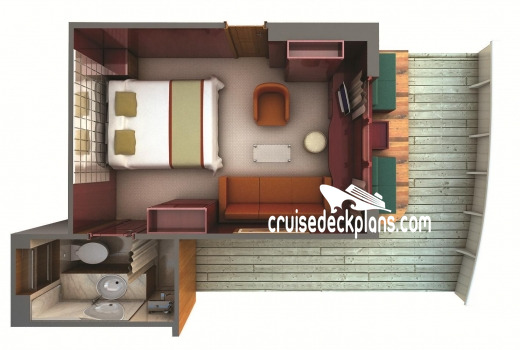 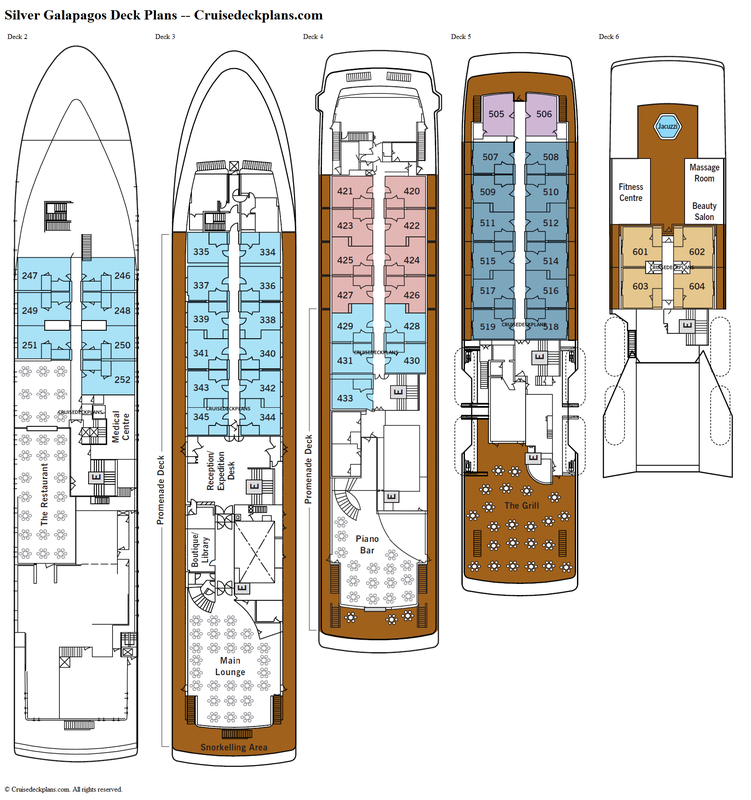 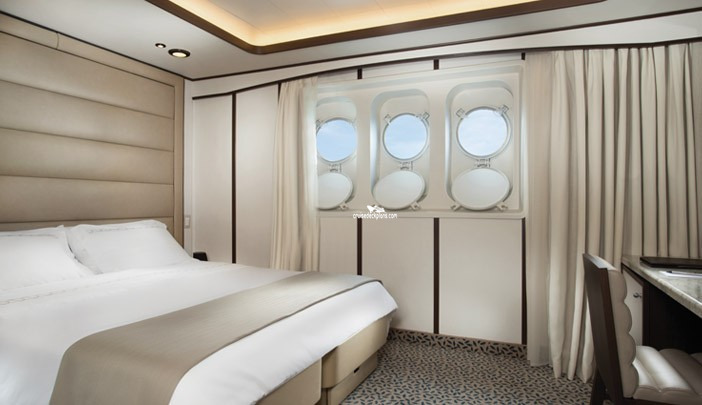 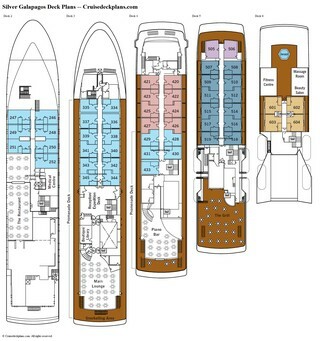 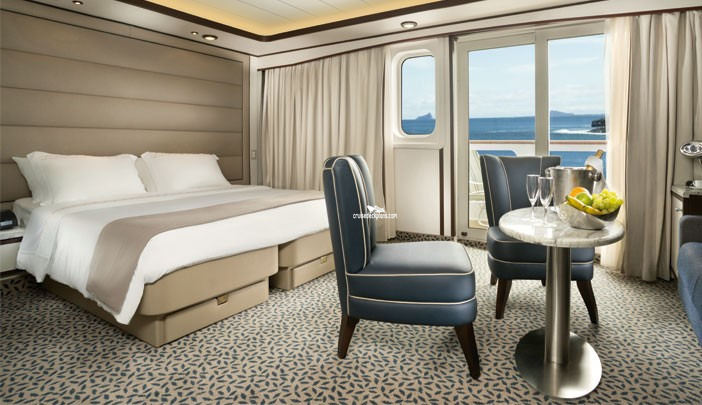 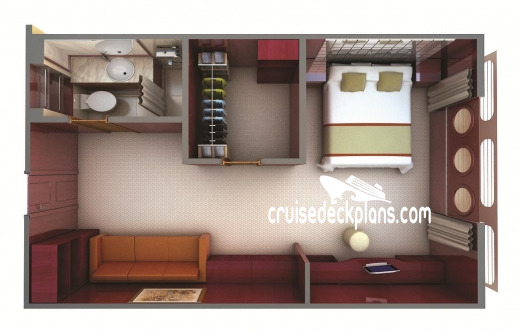 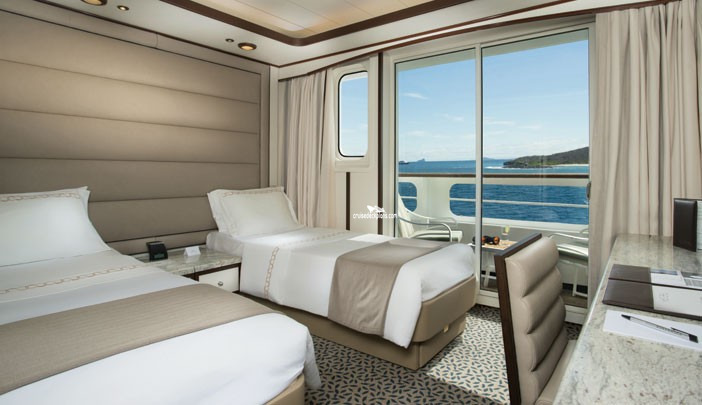 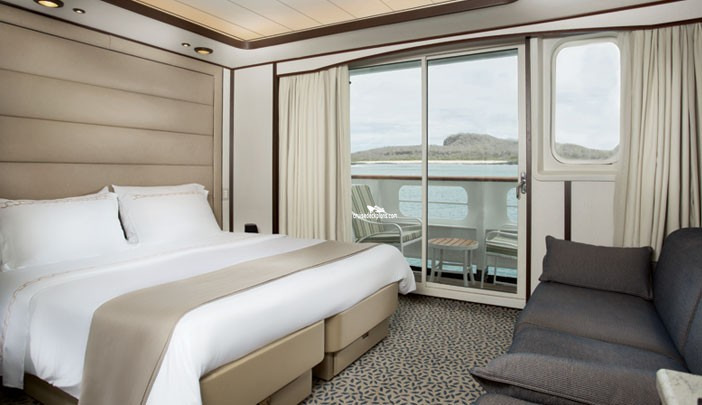 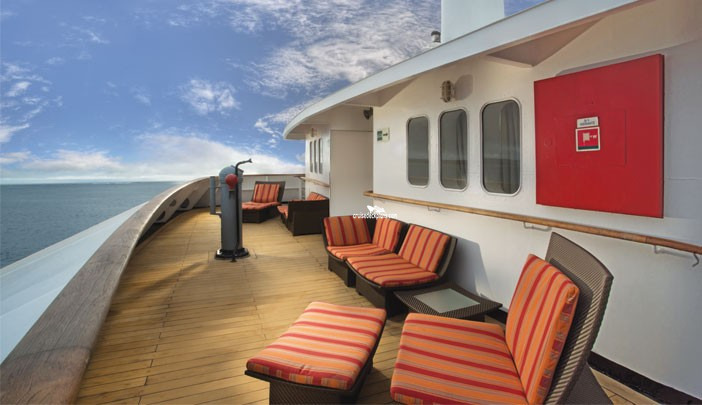 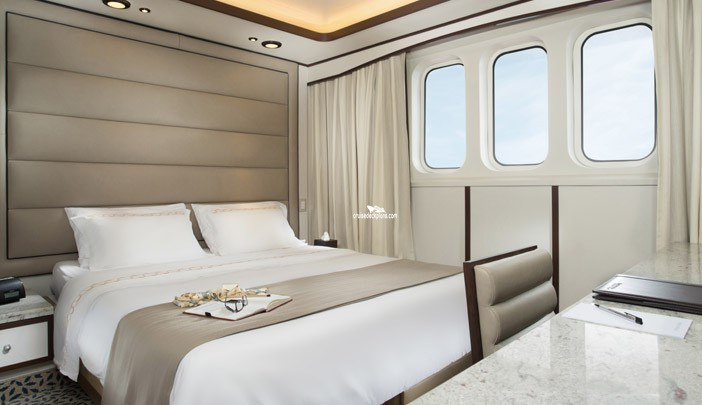 Cabins on deck 2 have three portholes and range from 210 to 240 square feet. 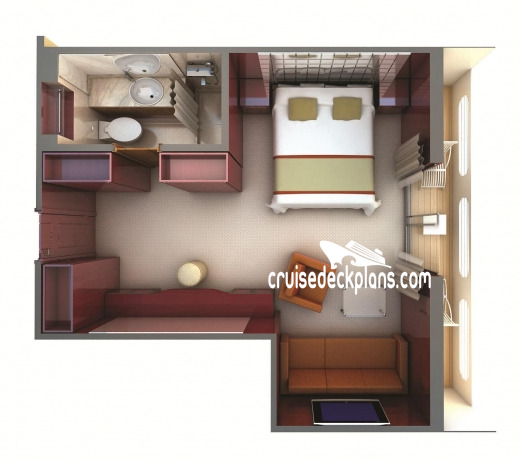 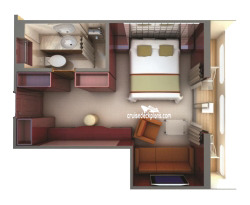 Cabins on decks 3 and 4 range from 235 to 250 square feet.